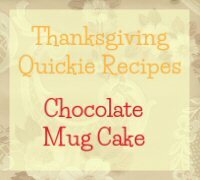 These frugal Thanksgiving dessert recipes have been broken down to compare costs for homemade versus store bought dishes. Take a look at the introduction for the dinner recipes to figure out what I’m doing here. I’m putting egg nog with the desserts. Because I can. I keep seeing recipes for leftover egg nog. Who has leftover egg nog? Most of the recipes called for heavy whipping cream, which is how you get that really thick texture, and why it is so bad for you. 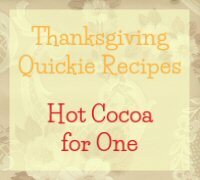 I chose this recipe because it uses milk, but you can substitute cream, half and half, or heavy cream, maybe even add dry/powdered milk and see what happens. In my house if we buy it we get the full fat version (of everything), put it in little tea cups, and pretend we’re fancy as we savor it. You don’t need a giant glass of nog. Yes you can give yourself food poisoning with raw egg. If you’re afraid gently heat it to 160 degrees, cool, and chill. Ahh pumpkin pie. Consider putting a little cinnamon in your crust. Or if you are using graham crackers for something else you can make a graham crackers crust. You can start at cooking your cheapo pumpkin and proceed from scratch, or buy the parts, assemble, and bake. You also might want to try a pumpkin bread you can serve as an appetizer, or pumpkin pancakes for a special breakfast. Odds are very good this will be too expensive with heavy cream, but if you buy a large container of heavy cream you can use the leftover cream to make whipped cream to top it, and/or substitute some of the milk in your egg nog. Make ahead: Cool completely (warm pie in the fridge makes for soggy crust), cover, refrigerate up to 3 days. Or cover/wrap, freeze, bake frozen adding 20 min to bake time. 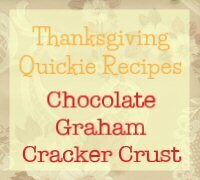 If you want to make this a little quicker and you have graham crackers you can make a crust. This is a classic and always frugal. However if you have oats in the house you may be able to do an apple crisp for even cheaper, so if your menu is pie-heavy consider that. You can make the whole thing from scratch, or buy the parts and assemble and bake. I had to assume that if you did that it would make the same size pie as buying one from the bakery. Try adding cinnamon to your crust, it will be so good. Make ahead: Cool completely (warm pie in the fridge makes for soggy crust), cover, refrigerate up to 3 days. Or prepare, freeze, bake frozen adding 20 min to bake time. Carrots are inexpensive. I included the cream cheese icing in my price breakdown, because I pretty much couldn’t find an alternative that sounded good. But man, that cream cheese is going to cost you, like 7% of your budget to frost one cake. I would add some spice cake-type spices (ginger, cinnamon, nutmeg, allspice, cloves) to the cake batter, skip the frosting, and dust with powdered sugar. Keep in mind if you don’t frost it and make it ahead it will be more prone to drying out in the fridge, wrap that sucker well. Make ahead: Cool completely, frost if desired, cover, refrigerate 2-3 days. Or cool completely, cover/wrap, freeze, thaw, frost. Cheesecake is expensive, it’s pretty much a ball of cream cheese, at $6 just for that one ingredient. If you only have 50 bucks that’s 12% of your budget. 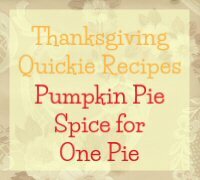 This recipe uses a graham cracker crust, which is super easy, and if you’re buying or have graham crackers you can use that crust for pumpkin pie as well. You can get three graham crackers crusts from two boxes of crackers.